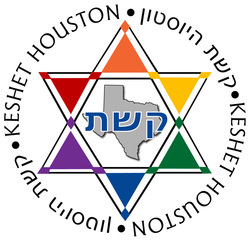 Keshet (National organization, not related to Keshet Houston) - a national grassroots organization that works for the full equality and inclusion of lesbian, gay, bisexual, and transgender (LGBT) Jews in Jewish life. Led and supported by LGBT Jews and straight allies, Keshet strives to cultivate the spirit and practice of inclusion in all parts of the Jewish community. The Hebrew Free Loan Association of Houston provides a source of funds to Jews of Houston in the form of confidential, interest-free loans. Loans categories include Emergency Loans, Commercial Loans/Business Startup, Day School Loans, Healthcare/Medical Loans, Traveler’s Aid Loans, Home Buyer Loans, Adoption/Fertility Loans, and a Graduate Student Loan Program. TWIT Magazine - GLBT news and entertainment since 1998. JQYouth - a social/support group made up of frum/formerly frum gay, lesbian, bi, and trans Jews ages 17-30.